The UK's new car market saw another month of decline - the sixth consecutive - on the back of poor diesel sales. However, hybrid and electric car sales continue to grow. New car registrations fell in September, with diesel car sales seeing a 22 per cent decline. Petrol registrations also fell - although by only 1.2 per cent. A total of 426,170 new cars were registered last month. The downturn in diesel cars sales is partly down to the ambiguity over the future of diesel, with buyers fearing possible tax increases and charges for driving in cities. Worries surrounding Brexit have also contributed towards the fall in consumer confidence. Demand for hybrids and electric cars continued to ramp up in September - reaching 22,628 registrations. This totals 94,000 alternatively-fuelled vehicles leaving forecourts this year, a 41 per cent year-on-year increase - although this still brings its market share to only five per cent. Here are the 10 best sellers for September 2017. 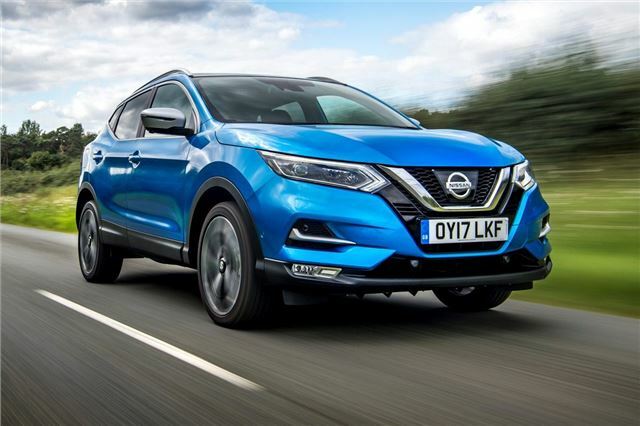 Benefiting from a recent facelift, the Nissan Qashqai now comes with a plusher cabin and more technology. It only went on sale in June, so chances are that some sold were the pre-facelift car, potentially with some competitive discounts. With almost 13,500 registered last month, the update is proving very popular.